Bootstrap Business: How Diverse Is The Construction Industry When It Comes To Gender? How Diverse Is The Construction Industry When It Comes To Gender? In the construction industry, 20% of firms have zero women in senior positions. With some industry professionals believing that ‘there is a definite prejudice against women’ in the construction sector, there appears to still be an inequality of opportunity for women. 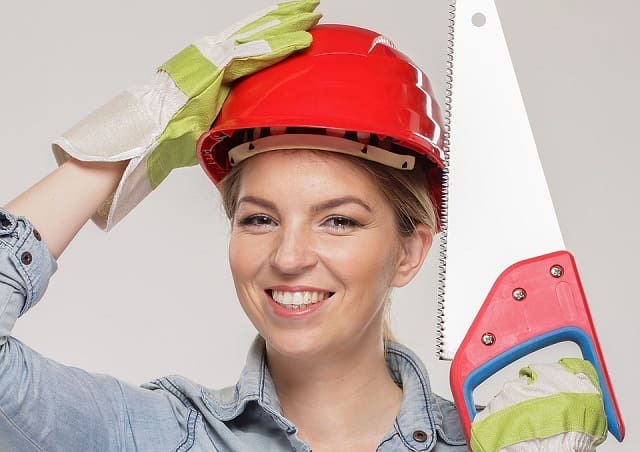 Construction News discovered that 50% of construction businesses said that they have never had a female manager and, when asking the women who did work within the industry, 48% claimed they had experienced gender discrimination at work. The most common example of this was inappropriate comments or behavior from male colleagues. These are figures that prove that the industry still needs to enforce more regulations to change attitudes towards women in the industry and encourage equality. How much women are paid is also a problem in the sector. Nearly half of construction companies (42%) do not monitor equal pay between gender in the business and 68% were not aware of any initiatives to support women transitioning into senior roles. Furthermore, according to Randstad, 79% of men believe they earn the same as their female colleagues in the same position. However, 41% of women disagree — highlighting the need for better pay transparency within the industry to dispel perceptions that men are earning more. So, how can the construction sector reduce the gender gap and enhance diversity in job positions? From bricklaying to operating work platforms, it might not come as a surprise to many that 99% of construction employees are male. Despite this, 93% of construction workers believe having a female boss would not affect their jobs. In fact, many believe that it would help enhance the working environment. Unfortunately, current figures remain pitiful with regard to women in construction, as according to Randstad, women will constitute just over a quarter of the UK’s construction workforce by 2020. If the industry intends on closing the skills gap, women could potentially hold the key. With the industry raising concerns that it is experiencing a shortage of skilled workers, 82% of people working in construction agree that there is a serious skills shortage. If demand is expected to require an additional million extra workers by 2020, women could account for a significant portion of that — especially in senior roles, which have previously been bias towards their male colleagues. It’s not all bad news, though. In 2005, there were just 6% of women in senior roles within the UK’s construction industry. However, fast forward to 2015, and this number had risen to 16% and is expected to continue to rise as we approach 2020. How about development for women in the sector? In 2005, 79% of women in the industry were dissatisfied with the progression of their careers. However, in 2015, this number more than halved to just 29%, with some of this progression likely to be attributed to the fact that almost half of women in the industry (49%) believe their employer to be very supportive of women in construction. Clearly, there are ups and downs when it comes to gender equality in construction. And more must be done. Randstad also reports that there remains a tendency within the industry to exclude women from male conversations, investment opportunities, or social events, with 46% of females experiencing being sidelined. A further 28% said they had been offered a less important role and 25% reported being passed over for promotion. It makes interesting reading to learn that more than three-quarters of women would recommend a job in construction to a female friend, daughter or niece — and with a 60% increase in the average annual salary for women in the industry in the past decade from £24,500 in 2005 to £39,200 in 2015, there is no denying that progress is being made to combat gender inequality. But we still have a long way to go. Hopefully, by 2020, we can report further progress in the industry, making roles more attractive to females, and improving the gender diversity which could consequently prove to be a solution to the lack of skilled workers for the industry right now. I hope you enjoyed this article about the gender diversity in the construction industry and why we need more equality in the workplace.